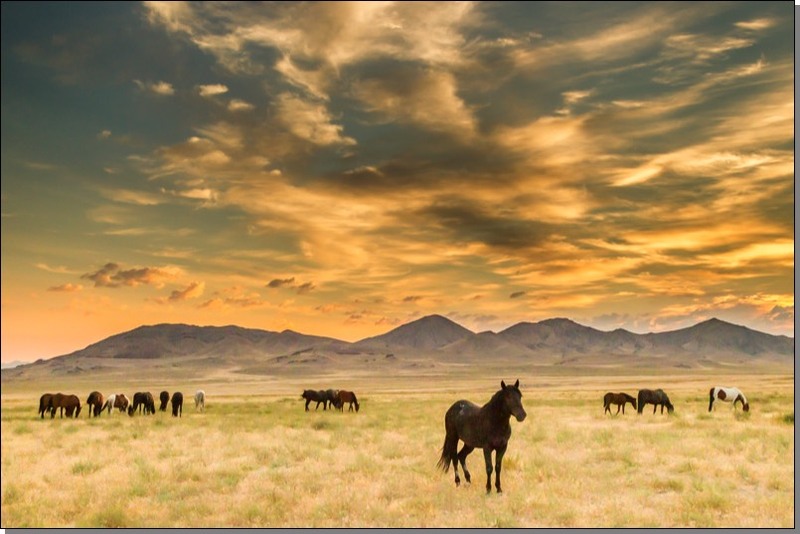 * The horses are relatively close to a major airport. * Staying in modern, comfortable hotels. 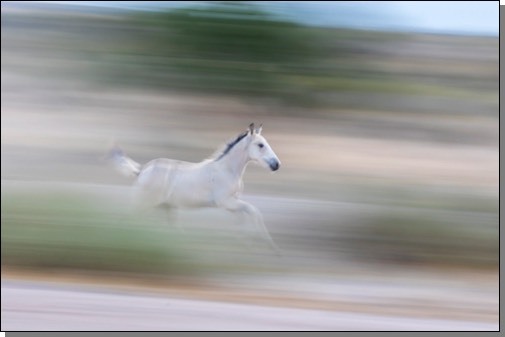 * Large numbers of tolerant horses to photograph. * We provide transportation, lodging, food & instruction. 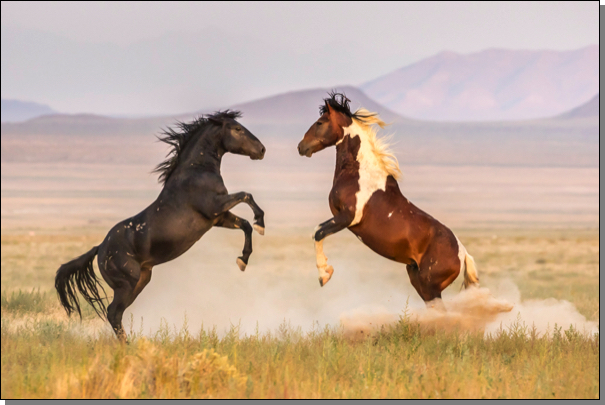 There is something about wild horses that brings out the romantic in all of us. These symbols of the vanishing West take us back to a time when the prairie was wide open and a man’s, or a woman’s, well-being often depended on a good horse. Join us as we travel back in time to a landscape dominated by these lords of the grasslands. 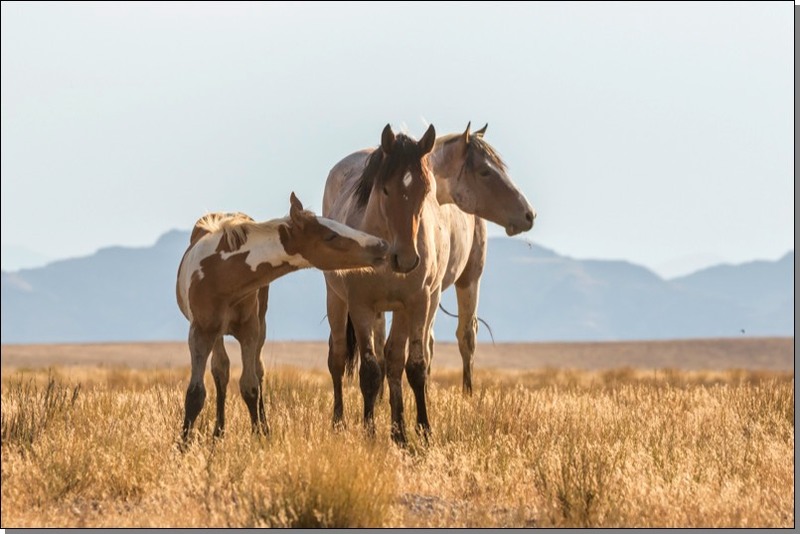 Wild horses are a case of the prodigal son returning home. 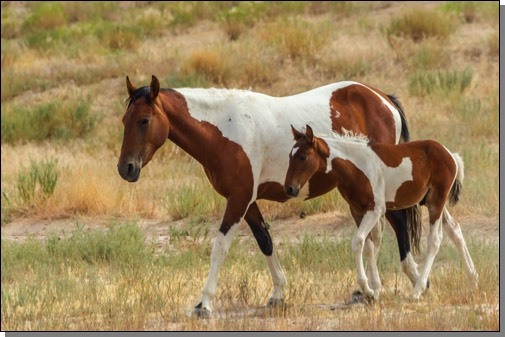 Horses actually evolved in North America. They spread to Asia and Europe over the same land bridge that gave humans access to the Western World. Then they went extinct here in their birthplace, and we wouldn’t see them again for more than 10,000 years when they returned carrying Spanish conquistadors, completing their round-the-world journey. Travel apparently agreed with them, for the animals that returned with the Spanish were much more grand and magnificent that the dog-sized creatures they descended from. 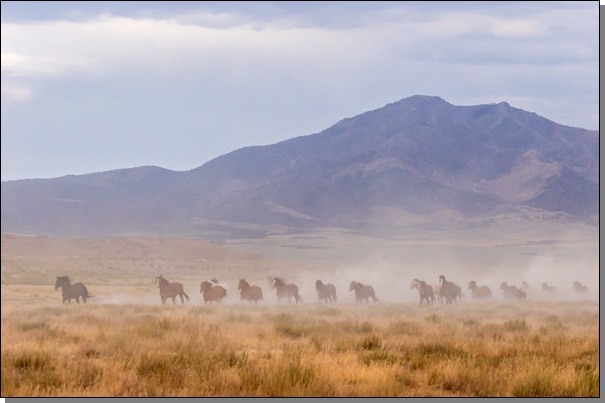 We’ll be trying to do photographic justice to that grandeur and magnificence, composing images of horses against western mountains, sagebrush flats and grasslands. There are few places where the wild west is so easily accessible from a major airport, where we can have horses in our viewfinders so soon after picking up our luggage. If these animals are something you’ve dreamed of photographing, this is the tour you’re looking for. Day 1: Pick up at the Salt Lake City Airport. Head out to photograph after checking into hotel. Dinner. Day 2, 3, 4: Out early to photograph, breakfast, break, photograph until evening, dinner. Day 5: Return to airport, photographing first if airline schedule allows.